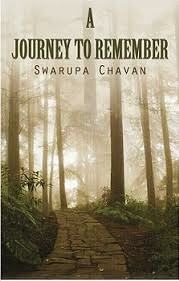 Swarupa Chavan- a Mumbaikar and Corporate Executive- is really an exception in Indian literature in English with her three successive novels. With her rare talent to hold the mad pace of corporate world in the background of her prose, she is able to give adept strokes of pen to the inherent satire in the characters and happenings around her. Being a seasoned traveler, she often picks up the themes of her book from the scenic and divine places around India. She is capable of weaving her imagination into wonderful storyline but every plot of her works has remained unique with remarkable depiction of incidents and masterly handling of characters. 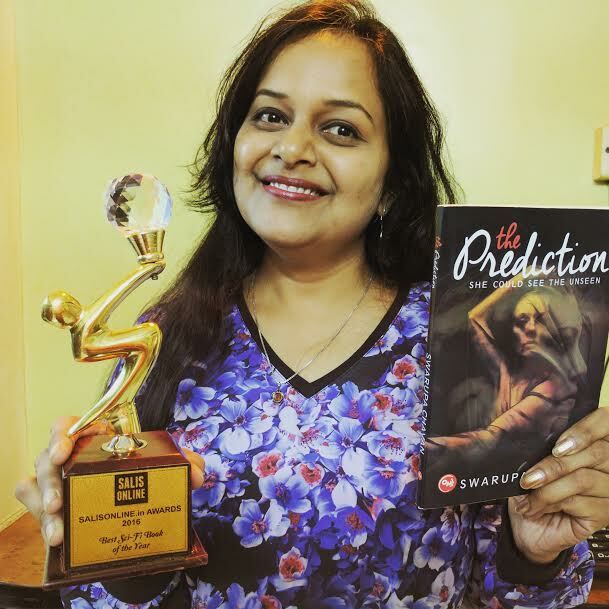 As she has bagged the Best Author of the year Award for her third successive work “The Prediction”, literally she bares her soul in a candid conversation with ONI’s Senior Correspondent Srikant Mohanty. ONI: Swarupa, generations have grown in the post-colonial days, going through the classics of Rabindranath Tagore, Mulk Raj Anand, R.K. Narayan, Ruskin Bond and other contemporary writers. Would you share with us names of some of eminent authors, who shaped up the creativity in you during your formative days as a writer? Swarupa: I am an ardent reader and have read the works of eminent writers as well as the writers who have emerged later and influenced the readers of today. The literary field has transformed and grown with time. I greatly admire the works of Richard Bach, Ayn Rand, P.G.Wodehouse, Ken Follet, and Paulo Coelho. ONI: From being an aspiring writer, who often penned articles for the magazines and journals, you have shared a long journey to become a published author. Would you share with us few things about the transition? Tell us about the person who inspired you for a literary career. Swarupa: The love for writing was inherent in me, which was displayed through my short articles in school and college magazines. I later developed this skill by initiating to write a full-fledged novel. I shared that draft with a few close friends, who on reading it felt strongly that it was material worth publishing. My family and close friends believed in the writer in me and have supported me throughout my journey. I can say that I was self-inspired to become a writer. It was the in-built passion inside me which translated into the novels which I published. ONI: Let’s talk about your first work “To err is human”. Have you placed the frantic pace in the lives of Mumbaikars and the bizarre incidents in the routines of corporate life that literally fired your imagination to take up this first novel? Moreover, what traits did you find in the feminism of the protagonist in the novel- Malini- that could get chronicled to become a full-fledged novel? Swarupa: To Err is Human is an out an out Romantic Comedy novel. The havocs in the corporate lives and how the employees deal with the challenges in order to fulfill their dreams, has been captured in a humorous way. I thoroughly enjoyed creating the character of Malini. She is a simple middle class Maharashtrian girl who has dreams just like any other girl to succeed in her career and find the guy of her dreams. Her mother is just like any other mother of a girl who is worried to get her daughter married. What sets her apart is her obsession to get Malini married and how horrified Malini gets with her mother’s various adventurous attempts to get Malini married. Malini comes to Mumbai to realize her dreams. Being a confused girl, she easily falls in love with her conniving colleague who uses her talents for progressing in his own career. She is a warm-hearted person and goes out of her way to help the needy, but in the process she finds herself in great problems like getting herself abducted by gangsters. How Malini finally saves herself and her heart from the mistakes she makes in her life and how she ultimately finds her true love is what To Err is Human is all about. Making mistakes is a normal human nature, but learning from those mistakes and growing and moving ahead is what To Err is Human speaks about. It gives this message in a humorous way blending with the element of Love. Malini is a girl next door. Every girl can relate to her woes and dreams. She is career oriented and yet a confused girl. Witty and yet funny. Beautiful and charming yet confused about whom to trust. She is helpful and loving yet finds herself in trouble most of the time. Looking at the character sketches of the protagonists in m y novels, you will see that they all have a strong personality which drives the story. ONI: Did you find the plot of your second book – “A Journey to remember” during your trips to various places as you have stayed a travel enthusiast right from the beginning? What inspired you to go for the creation of characters in the book? Swarupa: Indeed! I am a travel freak. And Shimla has etched its place in my heart. It is such a stupendously divine place. It is rich in natural beauty and has a lot of character. The place renders a good platform to project the storyline I had in mind for A Journey To Remember, where the story revolves around an ancestral mansion in the backdrop of a beautiful natural scenario. The story begins with the journey of two main characters of the novel and Shimla proved to be the best location for this novel. In fact I have written another short story based on Shiml, which I have not yet published. Humor is another genre which has always inspired me. I believe it is a difficult and challenging task to make a reader laugh. It requires a skill to use humor through your storyline and incidents, building characters which bring out the humorous elements. Every character in this book has been carefully crafted and created keeping humor and the storyline in mind. For instance the two best friends Ananya and Reva have a conflicting nature which adds the spice and is a constant source of new challenges,which have been presented in a hilarious fashion. Reva’s father,who is a retired Army General, has his own aura and style, which is typical. His chauffeur and driver, Sam is the spy in the story who somehow manages to add fire to the confusions created by Ananya. Not to forget the main character Kunal who is the initiator of the all chaos by his mere entry, which is mistakenly understood as an imposter. An otherwise normal and a routine day is unknowingly transformed into a comedy of errors. One thing leads to another and the chain reaction leads to a humorous mayhem. “A Journey to Remembe”r is a light Romantic Comedy where the love stories of the two couples Ananya – Rahul and Reva – Nikhil revolve around the mysterious disappearance of an antique painting. There is soft romance and there is side-splitting humor. Again, another book, which has been reviewed as a potential Bollywood movie story would resemble the soft movies of Hrishikesh Mukherjee. This is a huge compliment to any writer when they realize their work has managed to touch the reader’s heart. 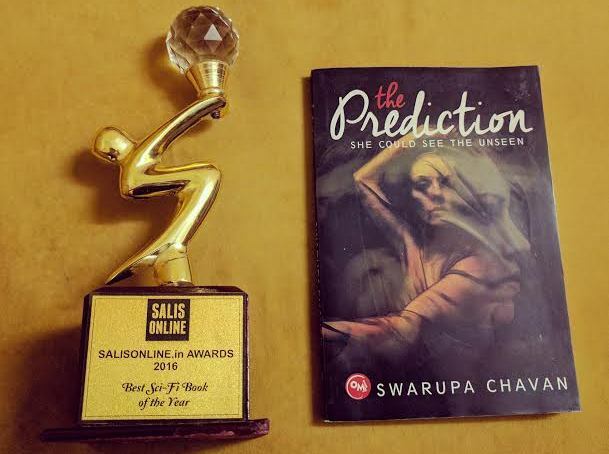 ONI: Did you find the tendency in the Indians to know about their future interesting enough to sum up as a complete work for your third novel- “The Prediction”? Do you think, the main character Tia in your third novel is one of the commonly found females in India, who profess to have the unique sense for clairvoyance with an extra-ordinary sixth-sense? Tell us what made you take up this off-beat theme that differs from your earlier two works. Swarupa: Ha ha! That is an interesting observation about Indian women you have made. But no, I did not have any such notion about any typical trait of Indian woman professing to possess the power of precognition. The concept of my novel THE PREDICTION is not the common ‘hunch’ which you might be referring to about a possible future event. It is a more scientific phenomena, where the protagonist Tia possesses this unique power of knowing a future impending calamity. I had always been fascinated with the power of the sixth-sense. I feel deeply passionate about this subject, which made me select it as the topic for my next book. The character of Tia was developed along the way as I was designing the plot of the story. The general understanding is that a person possessing a special power is always considered lucky. I wanted to show the other side of the story, where possessing a power could also prove to be a curse. That was how the character of Tia was born. Tia is sensitive and emotional. She is born with this unique power of predicting the future. Her elder brother despises her because of her special gift. Her father thinks of her as a bad curse since she had predicted her mother’s death. That starts Tia’s struggle to gain the love and affection of her family and deal with the loss of her mother. Somewhere deep down, she feels she was responsible for her mother’s death. She is lonely and deprived of love. front of their eyes while reading. ONI: Please share with us about your childhood, education, and family? Did you have anyone in your family with the equal flair for writing? Swarupa: I belong to a Maharashtrian family, born and brought up in Mumbai. I lost my father while I was schooling. My family consists of my mother who has been instrumental in my growth and success. I have one elder sister who is married. Academically, I am a Science Graduate, majoring in Physics. Following which I have completed Materials Management and Packaging Technology. Professionally I am a Strategic Sourcing Expert working as Deputy General Manager with a leading Agro Chemical Mfg. Co.I am the first person entering into the literary field of writing from my family. 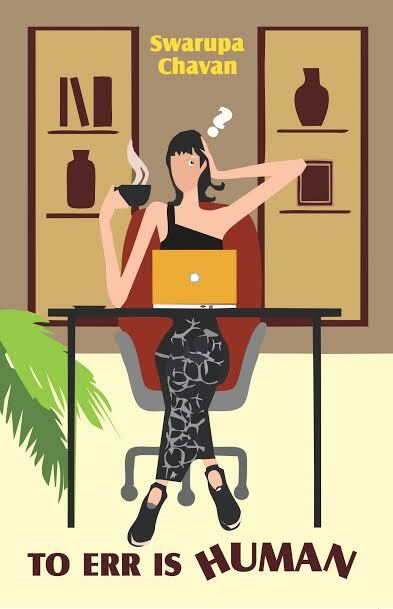 ONI: How do you manage time between your writing and working as a senior management official in the corporate world? Swarupa: My job is very demanding and I dedicate my entire focus on it. It is very difficult to find the time, balancing work and writing. To be honest, at times there is a gap of several months where I do not pen anything at all. But during this phase I try to utilize my travel time to work to do the thinking. Thinking paves the way to plots, characters, and story lines. Once a writer, always a writer. ONI: Any special person has encouraged you for a literary career right from the beginning? Swarupa: Absolutely no one. Once I finished writing my first novel I had no clue at all how to go about to publish it. Whatever initiatives and efforts were required in identifying and reaching the publishers and getting the novels published was done by me alone. ONI: Do the day-to- day incidents in life have the major influence on you for creation of a plot for your works? Swarupa: To some extent, yes. Although the novels that I write are fiction based, some part of the characters, the incidents are influenced by real life. The feelings and responses of the characters in a particular scene could be drawn from real life experiences. After all, there is so much of drama and real life action happening all around me that when anything that intrigues my mind happens around me, the writer in me is forced to put it down on paper and share it with the world. ONI: Tell us about your only short story published so far in the anthology and what has not motivated you for making further attempts for writing more number of short stories? Swarupa: I have published a short story THE UNSAID WORDS in the Anthology FUSION. I have also published poems I WANDER LIKE A LOST SPIRIT in the Anthology PO’TRY for Bengaluru Poetry festival, poem -JUST ONE MORE TIME for the Anthology WHISPERS OF LOVE 2, and few other poems have been published on social media sites. I have written some more short stories subsequently but have not found the right Anthology suitable for my story to be published. When I find an Anthology project matching to the stories, I would definitely publish them. ONI– Swarupa, thank you very much for sparing your precious time for getting interviewed. The News Insight group wishes you success in all the future endeavors.